Where to go for the experience of a lifetime? 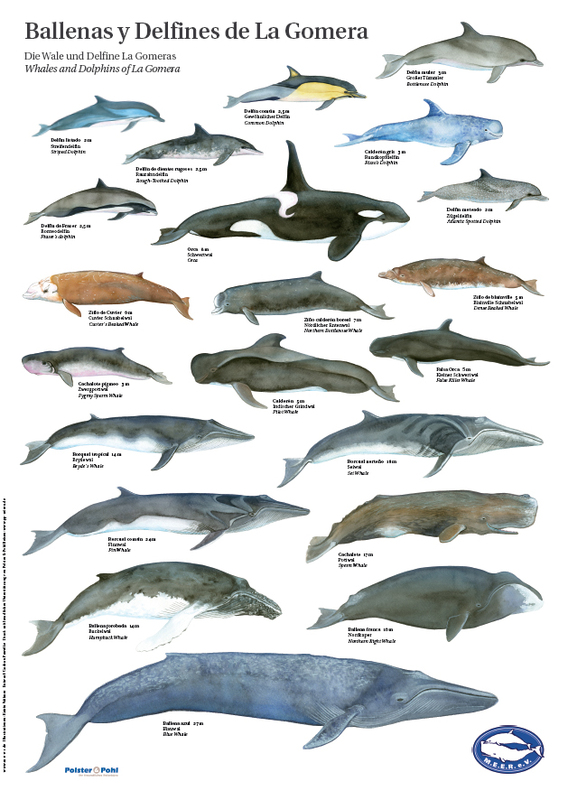 Many beautiful and smart species of cetaceans inhabit the waters around Europe. And as it is, contrary to the general belief that whale & dolphin watching is something that can only be done in far away, exotic destinations, Europe offers plenty of amazing opportunities for whale & dolphin watching. We’ve compiled our Top Ten list of great places where you have the best chance of viewing these magnificent creatures right where they belong: in the wild. There are few ocean creatures as majestic as the orca whale. The Strait of Gibraltar is home to many of them during the late Spring and Summer, when they come to feed in these waters (and when the blue fin tuna fishing season unfolds, which they love). 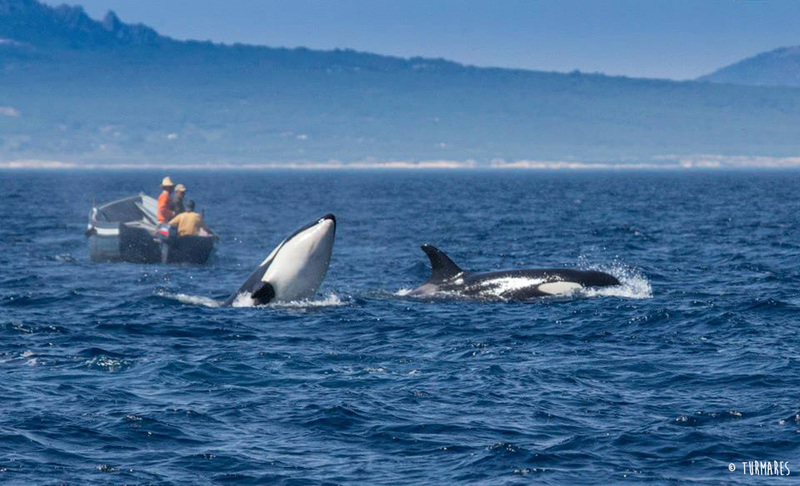 They can be often seen between June and September aboard special killer whale watching tours departing from Tarifa, guided by professional marine biologists. 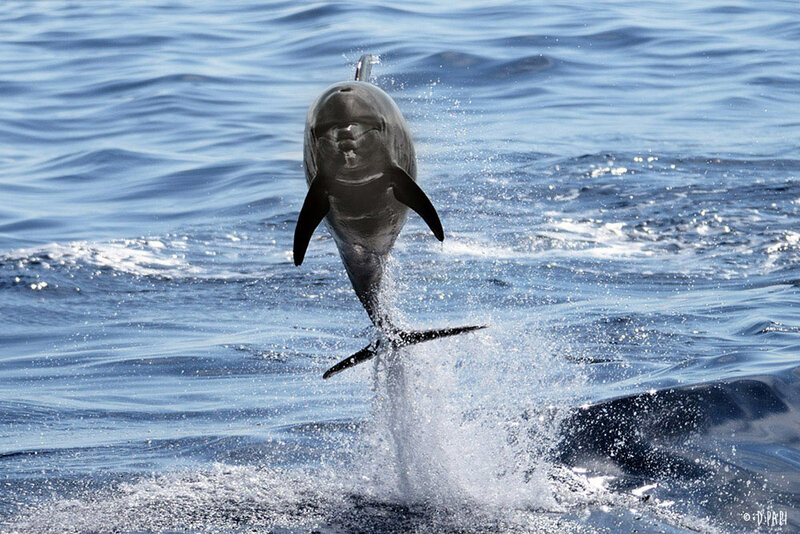 Besides killer whales, several species of dolphins and whales can be sighted as a bonus. Believe it or not, the probability of sighting marine mammals in these waters is so high, that most operators will offer you another free tour in case of no sightings! Liguria is home to Pelagos Cetacean Sanctuary Reserve. Fin whales, sperm whales, striped dolphins, bottlenose dolphins, long-finned pilot whales, Risso’s dolphins and beaked whales are among the beautiful aquatic creatures that live in this protected space. Although some operators offer whale & dolphin watching trips, the best way to see these amazing underwater animals is by joining the Cetacean Sanctuary Research Project and taking a true, one-week ecotourism vacation. You get to see the undersea animals up close and help the conservation effort. La Gomera is arguably one of the best spots to view several, different species of dolphins and whales at the same time. Roughly 23 different species have been seen in the area, including pilot whales and Atlantic spotted dolphins. With over 600 years of history, the archipelago of Madeira has so much to offer. Numerous types of dolphins and whales inhabit these waters, including the massive blue whale, the great fin whale, the "smaller" minke whale and the long-finned pilot whale, among others. if you're looking for a great tour departing from Madeira's capital Funchal, this might just be exactly what you are looking for. Closer to Portugal's mainland, whales are less likely to be spotted. But if you're visiting the beautiful city of Lisbon you may want to visit Arrabida Natural Park for some incredible dolphin watching. There is a resident pod of bottlenose dolphins that are often caught playing with one another and putting on quite a show. Towards one of the most the south-westerly points of Ireland lies Baltimore. This charming coastal village is one of the last strechtes of the Wild Atlantic Way - 2500km of unspoiled coastlines from West Cork to Donegal where land and sea collide. 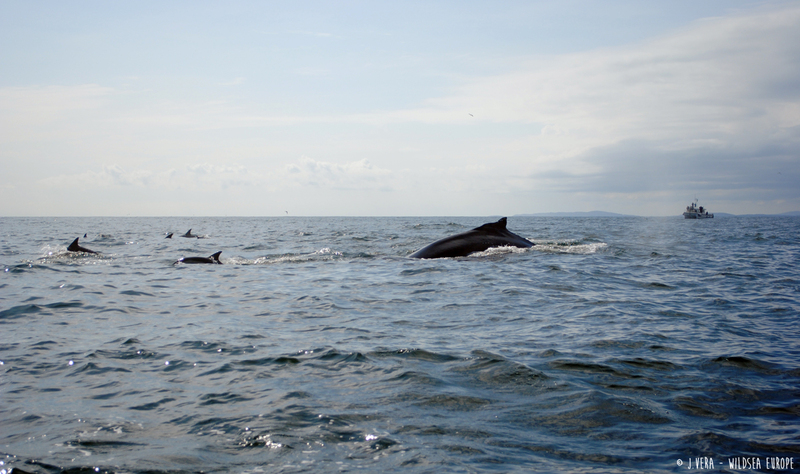 The waters around Baltimore & the Isles surprisingly offer amazing opportunities for whale & dolphin watching. On board a short 2-hour boat tour, we ourselves have borne witness to dozens of common dolphins, several minkes and one humpback whale or two gathering up around the same area to feed right before our very eyes, just a few miles into the sea from land. Up the Wild Atlantic Way from Cork, County Kerry is home to the stunning seven-island archipelago called Blasket Islands. Throughout different times of the year, seals, puffins, dolphins, basking sharks, minkes and humpback whales are seen in these waters. There is a Blasket Island Marine Eco Tour departing daily from Ventry Harbour at 1 pm. It’s the perfect tour to combine a great wildlife watching adventure with a trip into Ireland's recent past: the Blaskets were inhabited until 1953 by a completely Irish-speaking population. And Captain Mick Sheeran, leading the Tour with his hands on the wheel, used to call it home. Located in the most Northernly part of Ireland, Malin Head is emerging as an international hotspot for basking sharks. 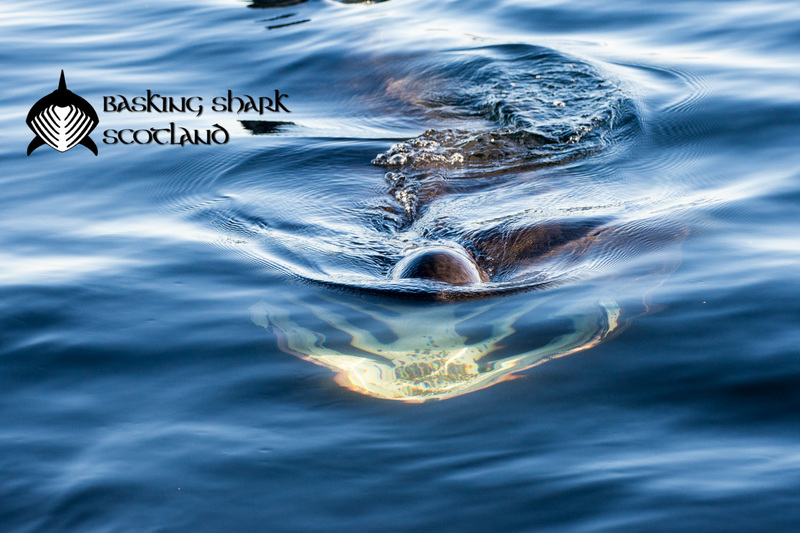 Although it is not easy to find an operator that will take you out to sea just to see the sharks, they have been reportedly seen from the coast in many ocations. This amazing video shot by WILDSEA Europe member Bren Whelan gives testimony of it. The Hebrides have incredible wildlife both above and under the sea. The area is known for beautiful large birds like golden eagles and powerful underwater creatures like orca whales, minke whales and basking sharks. Departing from the gorgeous isle of Mull, a good number of operators offer opportunities for great whale & shark watching tours. If you're looking for an operator with a distinguished wildlife ethos, here's one. This stunning archipelago is between mainland Norway and the North Pole. Between islands of rugged tundra and glaciers, small baleen minke whales, brilliant orca whales, vocal humpback whales and the largest whale – and animal – of all, blue whales all reside. Do you want to dive a little deeper? Check out our section for whale & dolphin watching tours in Europe.